Helping get expertise to the parts of the world that need it most, while providing life-transformative experiences to those that give. We support organizations around the world that are looking for both short and long-term skills-based volunteer. 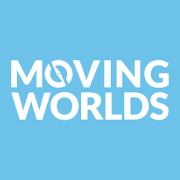 In addition to making matches, MovingWorlds provides training, matching guidance, and planning support to ensure every project results in a powerful experience that creates lasting change.